Today it is much easier to find accommodation in Vesterålen than it was 10 years ago. 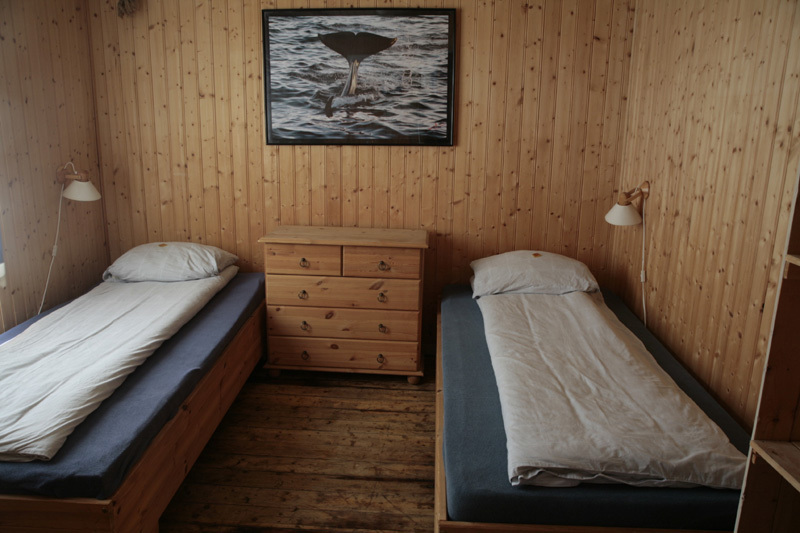 Holmvik Brygge was one of the first guesthouses in Nyksund to open its doors all year round. When the current German owners came to visit Nyksund they fell in love with the extraordinary sight’s on offer in wintertime at the arctic circle. Once the guest house was purchased they decided to open all year around, giving the chance for photographers, hikers and all types of tourist’s to share in the spectacular views. There is also a very good opportunity for photographers and birdwatchers to view the eagles which often fly over the house. Holmvik Brygge offers a relaxed atmosphere with all necessary equipment and good, comfortable beds. They offer free WIFI access. Special diet menus are available on request. Accommodation is varied – you can choose a more private room with its very own kitchen and bathroom or a smaller rooms with shared bathrooms and a kitchenette. Holmvik Brygge also offer a large living area with a cozy fireplace. The decor at Holmvik Brygge has been designed so that it’s guests can experience Nyksund 100 year fishing history. You can easily spend 3-7 days of your winter holiday here in Nyksund. You can explore the scenery, book on a local whale or nature safari or use us as a base for your visit to explore the rest of the Vesterålen.